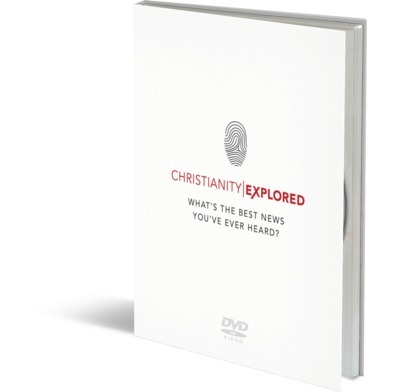 The award-winning introduction to Christianity, the Christianity Explored DVD comes with 14 subtitled languages including Chinese, Spanish and Arabic. This award-winning DVD is presented on location by Rico Tice. It works alongside the Handbook and Leader's Guide and has over 150 minutes running time. It also has subtitles in over 14 other languages making it more accessible than ever and superb value. Ideal for using with an English-speaking group where one member would benefit from viewing subtitles in their mother tongue. Simplified Chinese, Spanish, French, Korean, Russian, Japanese, Portuguese, Arabic, Farsi, German, Polish, Dutch, Italian, Romanian and English for hard of hearing. Please note, this DVD is available in NTSC format only. The vast majority of modern DVD players can read this format but older machines may not be able to. PAL discs are available but they only contain English subtitles for the hard of hearing. Subtitles that have been produced for NTSC format need to be totally re-timed to make them work in the PAL format. This process would have cost many thousands of pounds for so many languages. Given the fact that the vast majority of DVD players in traditionally PAL regions can now read NTSC without problem, we considered this extra expense to be an unwise use of gospel resources. If you find that your DVD player will not play this DVD, you may wish to consider updating your DVD player (which will cost around £30).